The heaviest rain in decades have pounded Nigeria causing more than a dozen deaths and forcing hundreds of thousands of people from their homes. Many of the displaced are now sheltering in camps set up by rescue organisations as floods continue to sweep across the country. A total of 171 out of about 1000 Nigerian female pilgrims detained at the King Abdul-Azziz International Airport, Jedda and Madina in Saudi Arabia were yesterday deported to Nigeria through the Aminu Kano International Airport, Kano. The deportation process began yesterday as Vice President Namadi Sambo was meeting with the Saudi Arabian Ambassador to Nigeria Khaled O.Y. Abdrabuh in the series of diplomatic effort to resolve the impasse. President Goodluck Jonathan had also approved the constitution of a Presidential delegation under the leadership of the Speaker of the House of Representatives Aminu Waziri Tambuwal to interface with the Saudi authorities over the issues surrounding the detained Nigerian female pilgrims. The first batch of the deportees made up of 111 pilgrims from Katsina and 60 from Taraba arrived in Kano at about 4:55pm yesterday on board Max Air. The Taraba pilgrims, mostly from Sardauna and Wukari local government areas of the state, were taken straight away to Kano Hajj Camp after alighting from the plane based on an arrangement at the instance of the National Hajj Commission of Nigeria (NAHCON), while those from Katsina were flown to Katsina aboard the plane. In view of the deteriorating situation, NAHCON yesterday announced temporary suspension of all Hajj flights for the next 48 hours. National Commissioner in charge of operations, Alhaji Abdullahi Muhammad said last night that the decision was reached after consultations with stakeholders. Kano State Pilgrim Welfare Board had earlier said it had suspended further airlifting of intending pilgrims to Saudi Arabia. Executive Secretary of the board, Alhaji Laminu Rabiu said the decision was taken as part of efforts to address the current impasse between Nigeria and Saudi governments. The pilgrims were denied entry into Saudi Arabia by the country's officials for alleged failure to travel with their muharram (male relatives). Our correspondent reports that some of the deportees looked tired and hungry on arrival, as they were boarding a waiting vehicle that would convey them to the hajj camp not far away from the airport. Many of them narrated grim stories about their alleged maltreatment during their stay in Medina airport, saying they were left without food and in the cold since they were flown to the holy land. They alleged that they were deported despite their wailing and pleas to the Saudi officials to allow them to carry out the religious ritual. One of the deportees, Amina Jalingo spoke in tears: "We were held in Madina for two days without food. None of us could sleep because it was so cold. Most of us collapsed on the floor, sobbing and pleading after we were told that we would be deported. But our pleas fell on the deaf ears...Right now we are very hungry and tired". On her part, Aishatu Muhammad, claimed that she was turned back even though she travelled with one of her relatives. "When we arrived in Madina, my muharram was allowed to pass freely, but my own passport was handed back to me by the Saudi officials. We don't know what sort of male guardians the Saudis want us to present," she asked. "We are unhappy with this development because our opportunity to perform the hajj has been lost. The officials did not even consider our screaming and appeals," she added. Daily Trust also learnt that the returnees were brought back because the detention facilities where the initial 1,000 female pilgrims had been kept was so congested that they could not accommodate more pilgrims. According to unconfirmed reports, about 200 pilgrims among the 1,000 in detention shared a single toilet. A source also told our reporter that when the intending pilgrims attempted to protest their deportation, the Saudi authorities sent troops to the airport in Medina to contain any situation. Intending female pilgrims from federal capital territory, Kogi and Niger states, yesterday expressed fear over what they described as unjust and unfair treatment of Nigerian women on arrival at Saudi airport. Meanwhile Sheikh Ahmad Mahmud Gumi, yesterday said the treatment of the Nigerian female pilgrims in Saudi Arabia was caused by government's incompetence as well as the indiscipline, which Nigerians exhibit in foreign countries. Sheikh Gumi said the action of the Saudi authorities did not come to him as a surprise because of the way and manner female pilgrims conduct themselves while in the holy land. "During the days of President Yar'adua, I have severally called his attention to the atrocities committed by our female pilgrims in Saudi Arabia. Some of them would go to the holy land and banish. They stay there to engage in acts that are not only against our religion but against even common sense and morality. I know the Saudis have respect for women but what our women do in the kingdom have made the Saudis to regard them as criminals. I once had an encounter with a taxi driver in Saudi Arabia who told me that if he were the president of Nigeria, he would make a law to stop all women between the ages of 15 to 50 from going to pilgrimage. This is to tell you how bad the situation is," he said. But renowned Kano Islamic scholar Sheikh Tijjani Bala Kalarawi also said yesterday that the issue of Murraham is untenable given the tradition that pilgrims from Nigeria are always under the care of government officials throughout their stay in Saudi Arabia. He said "if at all there is a serious offence committed by the pilgrims, the Saudi authorities should categorically tell Nigerian government in order to take the next line of action but to say our female pilgrims are detained because they could not produce Muharram is untenable". Sheikh Kalarawi said unlike Umrah (the lesser hajj) which requires every intending female pilgrim to travel with her Muharram, the hajj proper is always a trip in groups where all the pilgrims including the females are strictly under the care of hajj officials at all government levels and it is an arrangement already known and accepted by Saudi authorities. About 1000 female Nigerian pilgrims are still detained by Saudi authorities even as the two countries are still involved in "high level diplomatic talks" to resolve the impasse, Daily Trust learnt last night. However, high level sources hinted last night that the federal government is trying to sort out the issue through the Ministry of Foreign Affairs, even as the House of Representatives resolved yesterday to probe the issue. "A letter signed by the Minister of Foreign Affairs has already been delivered to the Saudi authorities over the issue. We don't know whether they will accept it," the source who is involved with the issue told Daily Trust last night. Investigations revealed that apart from the initial 400 pilgrims who arrived at the holy land on board flight 17 last Sunday, 600 additional female pilgrims on flights 18, 19, 20, 21 and 22, from Katsina, Kano and Zamfara states were also detained at the airport on arrival. The female pilgrims were detained on arrival when they couldn't produce individual maharram, that is, the approved male companion accompanying them on the trip, usually a husband, father or brother, demanded by the Saudis. But the National Hajj Commission of Nigeria (NAHCON)'s Commissioner of Operations, Alhaji Muhammad Abdullahi Mukhtar told our reporter yesterday that the it is not true that the pilgrims couldn't produce muharram. He said the State Muslim Pilgrims Welfare Boards (SMPWB) "qualify and identify as muharram of female pilgrims. And that has been the case for so many decades." He said that the situation is so confusing that "the Saudis randomly select flights to screen and detain." "All the 10 flights that landed in Medina were allowed into the country without any incidence. Also, flights 23, 24 and 25 were not touched at all," he said. Mukhtar wondered why only Nigerian pilgrims were selected for this treatment by the Saudi authorities. "In fact, there is no such issue in the memorandum of understanding signed between Nigeria and Saudi Arabia," he said. He said that it was not true that the first two Max air flights conveying Sokoto and Jigawa pilgrims on Sunday "were intercepted because only women were aboard." "Look at the manifest, all our flights carry both men and women," he said. Another top official said that the Saudis' action is uncalled for because the fear of pilgrims refusing to come back home is no longer tenable. "Since the introduction of e-passport by NAHCON adequately addressed the cases of pilgrims staying back in the holy land. In 2011, only 20 pilgrims absconded. When did you see Saudi plane landing in Nigeria with deportees? The situation has been drastically addressed," he said. Reports indicate also that the pilgrims are being detained in deplorable condition. One of the detained pilgrims, Bilkisu Nasidi, who spoke to the BBC Focus on Africa programme on Monday, said that the women were being held in "terrible condition." She said there were about 400 of them (as at Monday) and they were being held in very unsuitable circumstance. She said they had been sleeping on the floor for three days, and an average of 200 women share four toilets. She denied that all of them were without Maharram or guardian and that some of such guardians have opted not to leave the airport in order to give them some comfort. "If they don't want us to go into Saudi Arabia let them take us home, we are tired," Bilkisu Nasidi said. The Nigerian Consul in Jeddah, Ambassador Abdullahi Umar had told BBC Hausa Service on Monday that the Nigerian officials had been providing food and toiletries for the detained pilgrims, adding that a formal letter had been delivered to the Saudis and the issue was being taken up with the Governor of Makkah region, who would decide on the matter. Meanwhile, the House of Representatives yesterday commenced an investigation into the circumstance leading to the detention of the women whose number has now risen to about 1000 by the Saudi Arabian authorities in Jeddah. Adopting a motion on matter of urgent national importance sponsored by Deputy Minority Leader Rep. Suleiman Kawu Sumaila (ANPP, Kano), the House mandated its Committee on Foreign Affairs to interface with the Ministry of Foreign Affairs and report back today. In his motion, Sumaila expressed shock that the affected pilgrims were people who applied for Saudi Arabian visas, and were approved by its embassy without such rules made known to them. He said that the action of the Saudi authorities negated the long standing understanding between Nigeria and Saudi Arabia on Hajj performance. Also, Rep. Nnenna Elendu-Ukeje (PDP,Abia) who chairs the House Committee on Foreign Affairs, said her committee was interfacing with officials of the foreign ministry to secure pilgrims release. However, Rep. Alhassan Ado Doguwa (PDP, Kano) blamed the Nigerian ambassador to Saudi Arabia for treating the issue with laxity by claiming that "he is on top of the situation" whereas "it is the situation that is on top of him." Meanwhile a Saudi embassy official in Abuja told Daily Trust in confidence last night that officials of the two countries were making diplomatic efforts to sort out the matter and they will address the press when the matter is settled. 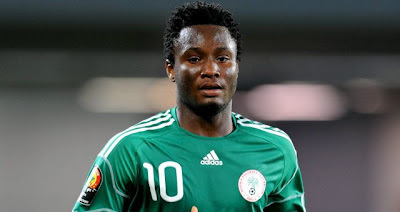 Nigeria coach, Stephen Keshi, on Wednesday included Chelsea midfielder, Mikel Obi, in his provisional 38-man list for the South Africa 2013 Africa Cup of Nations final qualifier against Liberia in Calabar on October 13. The list comprised 23 home-based players and 15 foreign-based professionals. However, Keshi once again left out West Brom forward, Osaze Odemwingie, from the team but handed Lazio young midfielder, Ogenyi Onazi, a surprise first call-up to the senior national team. Israel-based goalkeepers Vincent Enyeama and Austin Ejide, while captain Joseph Yobo, Elderson Echiejile and new Celtic signing, Efe Ambrose, are the foreign-based defenders invited for the clash. Inter Milan’s Joel Obi, who just recovered from an injury lay-off, also got a recall alongside Nosa Igiebor, and Obiora Nwankwo, who reportedly had a bad game in Monrovia in the first leg. They will battle Mikel and Onazi for midfield places. Chelsea’s Victor Moses also got a call-up. Other foreign-based forwards also invited are CSKA Moscow’s speedster, Ahmed Musa, Ike Uche, Emmanuel Emenike and Brown Ideye. The home-based players, who are expected in camp on Sunday in Abuja, are led by Warri Wolves keeper, Chigozie Agbim, his team mate Azubuike Egwueku, Godfrey Oboabona and Juwon Oshaniwa. The foreign-based players will join the team on October 8 in Calabar. “We hope to have at least five training sessions together and that should be enough for the team to do well against Liberia,” Keshi was quoted as saying by Eagles media officer, Ben Alaiya. On the International Day of Peace, Nobel Prize winner Wole Soyinka visited the United Nations - and called for armed intervention against the terrorist group Boko Haram in his home country of Nigeria. "This is a violent organisation," Soyika told IPS. "What do you do with them? I am sorry, but you must fight them." On Sep. 21, 2012 the International Day of Peace was celebrated with a debate about how to build a global culture of tolerance. Invited to participate were such superstars as actor Forest Whitaker, economist Jeffrey Sachs, and Wole Soyinka, who was awarded the Nobel Prize in Literature in 1986. After his speech, Soyinka spoke to IPS about the situation in his native Nigeria, where the Islamist militant group Boko Haram is responsible for thousands of deaths and the bombings of several churches in Nigeria in recent years. The group seeks to establish sharia law in the country. Their presence is particularly strong in the north of the country. "We have an organisation which closes down schools, shoots faculty teachers, knocks out children and turns most of the north into an educational wasteland. How can we reach the children there? 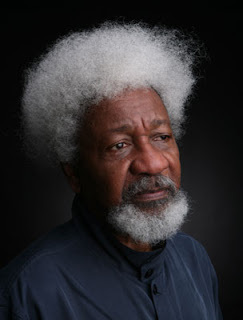 We must first get rid of Boko Haram," Soyinka lashed out. "We have a contradiction," he acknowledged. "How do we get rid of Boko Haram? Violence must become involved. That is a dilemma." Calling for armed intervention on Peace Day may certainly seem like a paradox. But Soyinka's call for attacking Boko Haram in order to stop the group's attacks on schools made more sense after Friday's debate, where speaker after speaker highlighted the importance of education to enable a global culture of peace to grow. As stipulated in the 1999 Declaration and Programme of Action on a Culture of Peace, the United Nations' primary goal is to "create and maintain world peace" through economic, social and political agreements, and in the worst cases through military intervention. In order for such a framework to succeed, a foundation of peace and a culture of tolerance must to be built. A cornerstone in building this culture is inculcating respect for others in children. "The real weapon of mass destruction is ignorance," said British-Iranian philanthropist Nasser David Khalili, one of the speakers during the event to emphasise the importance of schooling building a culture of peace. "The solution must be education." Another important point came from Jeffrey Sachs, professor of sustainable development at Columbia University. "As an economist it strikes me... how hunger and poverty are incendiary parts of war," Sachs said. In the Sahel region of Mali this summer, for example, a famine sparked conflict between nomads and farmers over access to water. Sachs drew attention to the fact that critical issues such as these receive too little attention, describing the great frustration he felt as he failed to raise money from the World Bank on behalf of Mali. "Shout Al-Qaeda, and you get millions for missiles. But try to do something preventive, and you do not get anything." He urged global leaders to invest in "development rather than military". Globally, "we are spending more than 10 times more on the military than we do on development," Sachs said. "In the U.S. the rate is 30 to one." U.N. Women's Deputy Executive Director Lakshmi Puri continued with the theme of social justice in order to achieve peace, highlighting the importance of including women in poverty eradication programmes. "Women bear the brunt of poverty," Lakshmi said. After her speech, Lakshmi told IPS that it is important to remember that even religious freedom has its limits, in reference to the use of religion as an excuse for acts of violence. "We believe that no religion sanctions, or in any way justifies, violations of human rights and women's rights," she stressed. Film star and UNESCO goodwill ambassador Forest Whitaker concluded the event. "We must never believe that it is right to inflict pain against others, even if we do not agree with them," he said. Wande Adalemo dropped out of the Olabisi Onabanjo University to actualise his dream of building an Internet service company, which is now worth N1bn. He tells DAYO OKETOLA how it all started and what other young Nigerian entrepreneurs can learn from his journey. The Co-Founder and Chief Operating Officer, Oxygen Broadband Networks, Nigeria’s first metro WiFi network, Mr. Wande Adalemo, is a young man who aspired to be a university graduate and get a job. But an event in 1998 changed the course of his life and he decided to pursue his dream of building an Internet company. Today, he sits atop a N1bn broadband network company, which has just rolled out a WiFi network at the popular Computer Village in Lagos. He said his greatest challenge was funding, but the driving force had been the passion to ensure that all Nigerians have access to affordable Internet access through WiFi technology. From the ground zero in 2005, dropping out of school along the line, Adalemo said he overcome the challenge and was able to attract investors, who believed in his dream and invested in the business. Adalemo said the company started with a $2m investment and as at today, had invested N1bn with a network infrastructure already in place and duly licensed by the Nigerian Communications Commission. In view of this, he said the company had laid out an expansion plan, which would see it invest another N200m in rolling out services in six locations across Lagos State before the end of 2012. “We are doing another N200m investment and we are going to six new locations by December 2012. We are partnering with malls on the Island, Surulere, and high traffic restaurants. We already have agreements with all of these people,” he said. The expansion, Adalemo said, would see Oxygen Networks expand to 20 locations in March 2013, and 100 locations in Lagos by 2015; and then Abuja, Port Harcourt and Kano, thereafter. “Of the N200m needed to roll out services by December 2012, we have attained N75m equity investment to date, which means that we are really set to move to these new locations,” he said. He said the company had already attracted institutional investors such as Google and Main One Cable Company, which were interested in investing in it and help boost broadband access in the country. While the start-up appears to be on the right track, the Oxygen Broadband Network boss said the beginning was very rough. In an interview with our correspondent on how it all started, he said, “I never saw a computer until 1998. I was with my cousin Femi Adalemo, who was the Chairman of the Nigerian Internet Exchange Committee at some points. So, I went to his office and he said he wanted to send a mail to someone in the United States. Five minutes after, the person in the US had responded to the mail and that surprised me. “I couldn’t sleep that night, and in the morning, I went back to him and asked him to teach me how to develop something that will make Nigerians send and receive e-mails easily. I told him I wanted to do something that would make it easier for every Nigerian to send email. “I had to trek from Iponrin to Ajose Adeogun to meet him. He was the managing director of a bank then. Meanwhile, I had met several potential investors who had discouraged me but I did not give up. So, when I got there, he told me; ‘If you cannot convince me in two minutes, I cannot invest in this because an idea that cannot hit someone in two minutes is no good idea.’ Well, I think I was able to hit him in two minutes and the next question he asked was how do we move? Adalemo reiterated that the company would continue to expand because he believed WiFi technology would play a major role in boosting Internet access in Nigeria. He said, “Because we believe that everybody should be on the Internet and we are restricted by regulations as to how to expand (we cannot cover wide area), we decided to take the Internet to where everybody is going? According to him, the second phase of the company’s expansion will be the ASPANDA Market at the Lagos International Trade Fair Complex, Alaba and Oke Arin markets. “For or us at Oxygen, we are taking our WiFi network to a point where we have a hots pot in virtually every major street in Lagos. It begins to tell us where we need to start focusing our attention in Nigeria. It also begins to tell us where we need to start building broadband ecosystems. We need to start looking at solutions that will enable people to just plug and deliver broadband services to everybody,” Adalemo explained. He disclosed that the company had sealed a partnership with the Nigeria Inter-Bank Settlement System Plc to provide its WiFi network for PoS connectivity at the Computer Village, adding that this was the driving force behind its planned extension into the Oke Arin Market. Adalemo encouraged young Nigerian entrepreneurs not to be deterred by challenges surrounding them, while assuring them of success if they remained focused. He said this was what made him drop out of school when he found out that academic works were disturbing his entrepreneurial drive. About four hundred female pilgrims from Nigeria who arrived in Jeddah, Saudi Arabia, yesterday to participate in this year's hajj were promptly separated from their male counterparts and detained by the Saudi authorities, Daily Trust has reported. It was gathered that the Saudis demanded to see each female pilgrim's muharram, that is, the approved male companion accompanying her on the trip, usually a husband, father or brother. When they could not produce any, the Saudis promptly detained them and as at last night, they were threatening to deport them back to Nigeria on the next available hajj plane. Daily Trust learnt that the pilgrims had arrived Jeddah in two separate Max Air flights Monday afternoon. One of the planes conveyed pilgrims from Jigawa State while the second plane had pilgrims from Sokoto State. The nearly 400 women were only allowed to be supplied water and food by the Saudis after strenuous efforts by the Nigerian Consul in Jeddah and the Minister of State for Foreign Affairs, Alhaji Nurudeen, the paper also learnt. Contacted on telephone from Sokoto Monday night, Sultan Muhammadu Sa'ad who is the Amirul Hajj condemned the Saudi action in the strongest terms and described it as "an insult to Nigeria and to this country's millions of muslims." He said the action of the Saudi authorities came as a total surprise to Nigeria's hajj authorities because during the numerous meetings held between Nigerian and Saudi officials to prepare for this year's hajj, the issue of muharram for female pilgrims was never raised. The Sultan said, "They never raised this issue and never demanded that the female pilgrims must have a muharram. They did not make this a requirement for issuing visas. They issued visas to all these pilgrims, only to embarrass, detain and threaten to deport them when they arrived in the holy land. How can they do this to us? The chairman of the National Hajj Commission assured me that the Saudis never asked for this during all the meetings they held. This is very unfortunate. We have done a lot over the years to improve on our hajj operation and we do not deserve this humiliation." The Sultan also told Daily Trust that he had ordered the Nigerian pilgrims not to walk voluntarily into planes to be deported. "Let the Saudis physically carry them into the planes and deport them," he said. "They issued them with valid visas, only to shift the goal posts at the very last minute, when they had already arrived in Jeddah." Spokesman for Max Air, Malam Ibrahim Dahiru, when contacted Monday night, said he was not aware of the development, though he confirmed that the two Max Air planes did indeed land in Jeddah with Jigawa and Sokoto pilgrims. He expressed surprise that the Saudis would demand for muharram, saying "that is usually asked during the Umrah, but since the hajj is collectively organised by the Federal Government, that is enough guarantee and this demand is not made." Dahiru also said as at yesterday, Max Air alone had already delivered 9,700 pilgrims to Jeddah in 19 flights from Abuja, Kano, Katsina and Sokoto. Hundreds of Muslims belonging to Shi'a sect in Kano had a peaceful protest, burning images of Barack Obama and American flag to express their anger over an anti-Islam film produced in the United States of America (USA). Followers of Shi'a sect, comprising men, children and women, veiled in black, walked from Fagge Juma'at Mosque stretching a distance of about five kilometres up to the Central Mosque near the Palace of the Emir, Ado Bayero, condemning producers of the film that has stirred outrage across the Muslim world. The sect followers demonstrated peacefully, shouting "death to America, death to Israel and death to the enemies of Islam". Malam Turi Mohammad, a member of Islamic Movement that organised the protest, led the procession and said "we are out today to express our rage and disapproval over this blasphemous film." Angry protesters burnt pictures of US President Barack Obama, and the country's flag. Mohammad, who addressed the crowd at the premises of Kano's Central Mosque, adjacent to the Emir's palace, said that "Muslims are pained by this deliberate insult against our religion under the pretext of freedom of expression", urging the protesters to express their displeasure by burning American flag. He also urged Nigerian government to publicly denounce the film and sever all ties with America and Israel in view of their role in the blasphemous film. "Nigerian Muslims are not happy with the video because it's aimed to discredit Islam. We are calling on the US government and the United Nation to quickly deal with the person responsible for the film, and put end to this blasphemy across the world," he told the mammoth crowds. The protest, which was carried out amidst tight security, ended peacefully as military and police officers deployed around the city provided surveillance during the protest. One of the security personnel said "we have no problem with the protest as long as it is peaceful". Some ex-workers of Air Nigeria have petitioned the Central Bank of Nigeria to investigate the N35.5 billion aviation intervention fund given to the carrier some years back to strengthen its operations. The CBN had, while injecting the fund to the sector, said that "airlines can now partake of the funds and those that are indebted to banks can refinance their loans and amortise them over a period of 10 to 15 years." The funds were also supposed to help airlines meet the International Civil Aviation Organisation's certifications and address all the issues of technical standards and planes' airworthiness. The petition dated September 12, 2012, entitled, "Closure of Air Nigeria, call for investigation of N35.5 billion Aviation Intervention Fund", chairman of the National Association of Aircraft Pilots and Engineers, Air Nigeria, Roland Ahmed said the body respectfully wishes to seek the intervention of the governor of the CBN in a N35.5 billion facility drawn by the carrier. Part of the letter read: "The fund was graciously released after much pressure to enable Nigeria airlines refinance its huge debt as well as inject life into the administration of aviation. "We understand that the fund extended to Air Nigeria was guaranteed by the airline's main banker United Bank for Africa. To this end, we feel obliged to intimate you of the recent closure of Air Nigeria for flight operation by its chairman Mr. Jimoh Ibrahim. Permit us Sir, to draw your attention to this as we believe it to be an anomaly and a defeat of the noble intention of the federal government through the CBN. We therefore implore your office to take immediate steps to safeguard the N35.5 billion public fund which now appears trapped by Air Nigeria's closure." Passengers Sunday besieged the office of the country's biggest carrier, Arik Air, as it resumed operations after suspending domestic flights on Thursday because of picketing by labour unions in the aviation sector. On resumption, it operated about 100 flights that ferried about 7,000 passengers to several destinations across the country. The decision to resume operations, a few days after the crisis between the airline and Air Transport Services Senior Staff Association of Nigeria (ATSSSAN) and the National Union of Air Transport Employees (NUATE), over the debt the airline owes the Federal Airports Authority of Nigeria (FAAN), was taken at a meeting chaired by the Secretary to the Federal Government, Chief Anyim Pius Anyim, on Saturday. Some of the passengers had arrived at the General Aviation Terminal (GAT), Arik's operational hub for domestic flights at Murtala Muhammed Airport, Lagos, as early as 5.30am for its first flight which was scheduled to depart at 7am. Hundreds of passengers were seen in long queues, pushing and shoving to make their way to the airline's counters while touts made brisk business by offering to secure tickets for passengers at a fee. Following the suspension of its flights last Thursday over a N7 billion dispute between the airline and the unions, Arik had made refunds to passengers who had previously booked their flights. One of the passengers, Mr. David Johnson, who felt disappointed at his inability to secure a seat on Arik's 3pm and 5pm scheduled flights to Abuja, said he needed to be in Abuja before 6pm to keep an urgent appointment. According to him: "I was told that all the flights to Abuja for 3pm and 5pm were fully booked and the only available flight to Abuja for now is 7pm. I really need to be in Abuja before 6pm. "The funny thing is that I even have an Aero Contractors ticket which I ought to have used to Abuja but I got to the counter 30 minutes before boarding and I was told that they had closed the counter." Asked about Arik's services, he said the airline offers reasonable services to its passengers, noting that its on-board services were good and that the airline always departs on time. A female passenger, who refused to give her name, remarked that she had to come to the airport yesterday (Sunday) to ensure that she prepared properly for Monday's flight to Yola at 11am. She was concerned that the flight might be fully booked because of the backlog of passengers. "I know that all the flights will be fully booked and I don't want to take that risk by coming tomorrow morning because I don't want to be stranded because at times like this, the airline will give preference to those passengers who were supposed to fly during the crisis period," she said. On her assessment of the airline, she said: "I have been flying Arik Air for the past four years and I can say that their services are very good. "I can't really compare Arik with other airlines because I have not flown them apart from Arik." A minicab driver, who claimed he was earning just £700 a month but was living a luxurious life in his Nigerian mansion, has been ordered to pay almost £1.2 million. Ovo Mayomi and his wife, Juliet Ubiribo, were convicted of fraud in 2010 after using an identity and immigration scam to falsely claim £43,000 in benefits. Mayomi, 44, claimed he was earning £700 a month and was living in Croydon, south London, while his wife, 32, claimed benefits after telling benefit bosses she was a single mother and a victim of domestic violence. But fraud investigators found Mayomi and his wife were actually living in a large luxurious house in Lekki, Lagos worth more than £1 million complete with chandeliers and £89,000 worth of sound equipment. He also had a £25,000 watch. His wife wore a Rolex watch and drove a Mercedes Sport Coupe. Now a British judge has ordered Mayomi to pay £1,197,743.54 in a confiscation order under the Proceeds of Crime Act, or go to prison for six years. As well as two money-transferring businesses and bank accounts, investigators also discovered Mayomi owned a fish farm in Nigeria. The couple's benefit scam unravelled when a visa application by Mayomi showed they had married a year earlier and that Ubiribo had a job with which to support him. Ubiribo also asked the council to re-house her because she was the victim of domestic violence. She claimed she was a single parent so as to claim housing and council tax benefits to help her pay £900 in rent each month. However, the telephone number she gave revealed the man she named as her landlord - Ayiomike Neburagho - was, in fact, her husband, Mayomi, using a false identity. At a police interview, Mayomi admitted that while living in Nigeria, he had bought the identity of Ayiomike Matthew Neburagho and had entered the UK as him. Mayomi was also shown a wedding photograph of himself, using the Neburagho identity, marrying a Nigerian woman in the UK. He admitted he was the groom in the wedding photo but he said he was ‘just standing in for someone’. Ubiribo and Mayomi pleaded guilty to all charges. Mayomi was jailed for 30 months two years ago and his wife was sentenced to 12 months in prison, suspended for two years. She was also ordered to carry out 200 hours of community service and be under curfew for four months from 9pm to 6am. Court orders were signed freezing their assets in the UK and abroad in 2010, and an investigation was launched to find out how much the Nigerian-born couple had gained from their criminal lifestyle and what the extent of their assets was. Mayomi of Ashburton, disputed the results of the assets investigation, and a subsequent four-day confiscation hearing took place at Croydon Crown Court. Last Friday, Judge Nicholas Ainley ruled that Mayomi must pay £1,197,743.54 by 14 March next year. It is one of the largest confiscation orders carried out by a council. Failure to do so will see him sent to prison for six years, during which time interest will accumulate on his debt, which will remain due following his release. At a hearing in July, a confiscation order was made against Ubiribo for £9,357.42 to be paid by October 19 or face five months in prison. Investigators had discovered she was the owner of a Rolex watch and a Mercedes Sport Coupe. Councillor Dudley Mead, deputy leader of the council, said: 'This is a landmark case for Croydon as it is the first time the council’s in-house financial investigator has pursued a major confiscation order of this nature. 'Usually these cases are dealt with by the police rather than local authorities. It is rare for councils to have their own in-house investigator, so it is to the anti-fraud team’s immense credit that it is pioneering the way forward in reclaiming the proceeds of crime. 'As a result of our investigator’s fine work, the council expects to be able to claw back as much as £400,000 in taxpayers’ money. 'This case should serve as a clear warning that crime does not pay. Croydon Council will always prosecute in fraud cases and seek to recover money or assets wherever they are. 'This is to protect decent taxpayers from having to pay more. Passengers intending to board Arik Air to their various destinations were stranded as the airline flight operations were, Thursday morning, grounded by Aviation Unions: the Air Transport Service Senior Staff Association, ATSSSAN; the National Association of Aircraft Pilots and Engineers, NAAPE and the National Union of Air Transport Employees, NUATE, who barricaded the General Aviation Terminal, GAT, where Arik Air operate from. Meanwhile, Arik Airline has responded by suspending all its domestic operations until further notice. The suspension of Arik flight operations is a major blow to the aviation industry as only three airlines are currently operating domestic flights in the country. The airlines are Arik Air, Aero Contractors, and IRS Airline. Thousands of passengers were stranded at the two domestic terminals in Lagos; the new MMA2 and GAT. Asked what his next line of action will be, he simply said: “I don’t know. I like flying Arik.” However, another passenger who was visibly angry said Arik was to blame. He asked why the airline would be owing. When reminded that all the airlines were owing the agencies he said they should all be picketed. He, however, refused to disclose his name. A passenger who gave his name as Mr. Sule Shehu was more critical in assessing the situation. He was billed to travel to Abuja. He said though Arik should pay its debts, the aviation workers have no right to ground the operations of an airline. Although the airline regretted the inconveniences the disruption would cause its passengers, it, however, said it would not resume domestic operations until all the issues it has with both the Ministry of Aviation and Federal Airports Authority of Nigeria, FAAN, were resolved. The airline maintained that FAAN has refused to come to negotiating table since the beginning of the debts crisis that culminated in its operations been disrupted yesterday morning. Nigerian Immigration Service, Sokoto state Command has deported over 150 illegal immigrants in the state. Controller of the state command, Alhaji Sa'ad Abubakar disclosed this yesterday while speaking on efforts to rid the country of illegal aliens. "We have a mandate by the Service Headquarters to ensure that all illegal aliens here are sent back to their countries," he stated. According to him, those who were deported did not have proper document rendering their stay in the state illegal. "Before you go to a country, you must have legal backing that will enable you to go to that country. If you don't have papers, nobody will allow you into his own country because it will be a breach of protocol," he pointed out. The Controller noted that the ECOWAS treaty mandated immigrants to acquire proper travel document for easy identification and monitoring while in their host country. He said the command would not relent in the effort at ridding the state of illegal immigrants. Former Ghanaian President John Kufour has identified imbalanced development as a major cause of insecurity in Nigeria saying the situation is forcing the country to pay a higher price than it should to sustain its role as the giant of Africa that it could and should be. This is as President Goodluck Ebele Jonathan harped on the need for a crises free Nigeria in order to transform the country in line with the agenda of the incumbent administration. Both presidents spoke at the 52nd Independence anniversary lecture titled: 'Nigeria: Security, Development and National Transformation' held Tuesday at the premises of the Ministry of Foreign Affairs in Abuja. According to Kufour, who observed that only a government that delivers on security and development could ensure its longevity in office, the resourcefulness of Nigerians is yet to have full impact on the development of the nation. He said this shortcoming is also detrimental to the country claiming its rightful position as 'giant of Africa' from which other nations on the continent could benefit from or copy from as a role model to model or gauge their development. His words: "Naturally, imbalanced development that involves horizontal inequalities is an important source of conflict and that is costing Nigeria the opportunity to be the giant nation that it can and should be." He said: "The challenge is to accelerate the pace of development by using institutions of the federal Constitution as a nursery ground for producing leaders who are national in outlook and with a missionary zeal to transform this nation. "This will help to mould the contending ethnic and religious groups into harmony and help to remove the perceived mutual distrust among them. "Leaders so emerging would not be limited to championing the causes of their home state, tribe or religious group, but rather focused on deeds and pronouncements which convincingly and positively impact on the entire citizenry of the federal republic. "Nation building is the systematic evolution of the political, economic, social and cultural well-being of all the various component parts of the state. "Indeed the transcendent factor should be the common citizenship of all the stakeholders no matter the tribe, gender, religion, economic or social status as your Constitution stipulates. In his own speech, President Jonathan attributed the current insecurity in the country to the handiwork of those who, despite the government's achievements in transforming Nigeria, employ every means to discredit it, stressing that there is no way any government can record progress with incessant security breaches such as the ones that characterise the Nigerian polity today. "The key issue we are discussing is about peace and development and of course we all know that there is no way you can talk about development when you have a lot of crisis. In fact some people make more money when there is crisis and when there are crisis is like a country in a state of emergency, anything goes. "Crisis is one aspect but generally if there is no peace is extremely difficult for the ordinary people to survive though big players in economy may survive. Ordinary citizens having small and medium enterprises cannot come out to do business during crisis and of course it affects the economy. So you must have peace to develop. "Peace is one of the cardinal marks of a leader. In the monarchy in the olden days, the king had maximum power but for your kingdom to be stable you must have the military strength. So without stability of any state we cannot development. "I agree totally with President Kufour who really gave us the break down of the kind of security situation that we have. "When you talk of insecurity of using bombs and guns to kill people what has been described as physical security but in terms of social security, food security, health and the justice system all have to do with the security of individual. "But I believe what we face in Nigeria though not peculiar to us, one of our greatest problems is what I described as political security. Government can continue to provide physical security but also very important is the political security. When you have an ending political conflicts in Nigeria, the country cannot develop. "I believe political security is a big issue. There is this axiom that the pen is mightier than the sword. The sword is used to kill and destroy but what we use the pen to do is also very critical. When you have society with these unending political conflicts, it is there on the media whether print, electronic or social media, it brings a lot of insecurity to the system and some times people begin to doubt your government. "For example when we were contesting election we promised it will be free and fair, I was convince I must do that even if I will loss the election. After our election in 2007, even the presidents in our neighbouring West African states were finding it difficult to congratulate us because the observers felt the election was not properly done. That haunted us even when we travelled out and I promised myself that if I have the opportunity to preside over an election, I will do something different even at my expense at least for the sake of the country. And we did that but unfortunately, even though there were crisis in some parts of the country, observers felt the election was reasonably free and fair compared to others. But immediately after that election, not quiet six months, the kind of media hype that started hitting us made us to stop and ask where is this coming from? "I said I did not just come out from the blues to contest the election, I was deputy governor for six and half years, I was a governor for one and half years, I was a vice president, and before election, I was the president up to April when the elections were conducted, people knew me. So within this period including when I even acted, if I was that bad will people have voted for me? So for Nigerians to have voted for me overwhelmingly that means there must have been something they were expecting and definitely six months would have been too short to pass any valid judgement. But the media condemned me. "And I believe is not just the media, like when we talk about the Boko Haram, we have political Boko Haram, religious Boko Haram and criminal Boko Haram. So also in the media, you have the professional media and the political media. That is why I talk about the political media, because of the interest of 2015 whatever you do is immaterial, the government must be brought down. And that mentality cuts across most African countries and even outside Africa. "So addressing insecurity is critical in developing African state. When you have this ending political conflict especially in a country like Nigeria that is highly religious and with high ethno-tribal sentiments, it becomes very potent to even create a lot of problems for government. "So I will plead with us as Nigerians that whenever we elect government into power at whatever level, at least for the sake of the country allow the government to work before going into unnecessary overheating the system. "So as government we are committed to creating the environment. I'm pleased with the way President Kufour spoke on the issue of transformation. I agree that the leader must be the key actor for transformation but those who will implement are the citizens. For instance, during the election, we advocated one man one vote, we were totally committed and I said it that nobody should rig election for me. But Nigerians believed that we were sincere and because they knew we were sincere, that took the life of its own. No I don't need to go and preach again. We have monitored elections in Edo and other places, nobody wants to compromise with his vote. Is government that created that environment but is not government that will enforce it, it is the citizen. "That is why we are a bit worried that sometimes when government create the environment, whether economic, social or even the media, but how the citizens use those privileges matters so much. "Take the media environment for instance, we signed the Freedom of Information bill into law, it became the freedom of Information Act, but are we using it in the way we are suppose to use it? Are some of us not abusing the privileges? The media environment that should have helped our transformation agenda are being used negatively, these are some of the issues we need to address. "The way Nigerians challenge and abuse me, yes the president has enormous power but if you use that enormous power to some extent you will look like a dictator. In a democratic setting, you want to create an environment where people can create their opinion and that is why people are allowed to talk freely and demonstrate. But are we doing so properly"
One of the discussants, Prof. Ihedu Ivwerebo, said Nigeria has been attempting to enshrine democratic system which is a culture. He said all the past 13 years experience was part of the culture. He stated that the challenge facing the country was leadership infidelity. "The elites are unfaithful to Nigeria that made them. They go out and speak evil of the country," adding that impatience of Nigerians that we ought to have arrived was also contributing to the challenge. The Secretary to the Government of the Federation, Senator Anyim Pius Anyim, said the lecture marked another critical milestone among programmes of independence. He said deeper knowledge of national issues would offer solutions to national problems, assuring that the President will remain committed to discussions and that the anniversary lecture has come to stay. The Senate and the House of Representatives joined forces, yesterday, as they resumed from their two-month recess and asked President Goodluck Jonathan to stop the Central Bank of Nigeria, CBN, Governor, Mallam Sanusi Lamido Sanusi from going ahead with the restructuring of the Naira and the introduction of N5000 note, describing it as illegal and unconstitutional. This came as the House of Representatives gave President Jonathan 14 days to implement the report of the investigative public hearing on the near collapse of the Capital market, which recommended the removal of Ms Aruma Oteh, as the Director General of Securities and Exchange Commission, SEC. The plan by Mallam Sanusi to restructure the naira, as well as introduce N5,000 note received condemnations from both chambers of the National Assembly as the lawmakers described the proposal as anti-people. The senators upon considering a motion moved by Senator Ita Enang, accused Sanusi of pursing International Monetary Fund, IMF, agenda which was set to impoverish Nigeria. They also accused Sanusi of being arrogant, and a misleading public officer who claims to have monopoly of knowledge. The Economic Team of President Jonathan was also lambasted for endorsing a policy the lawmakers described as unpopular and anti people. Enang while leading debate on the motion observed that the CBN policy would lead to widespread corruption and untold economic problems for the nation. He said: "The policy will create multiple economic problems like inflation, corruption and security challenges, and would erode the value of the nation's currency and ruin the economy. Senate President, David Mark, while condemning the policy, accused Sanusi of using hypothetical facts and figures to mislead Nigerians. He said that the actions of the CBN governor and the argument that the policy would reduce inflation in the country were mere theory that is unacceptable to Nigerians, adding that government should be bold to reverse any unpopular policy. He said: "The important thing is that if Nigerians say they do not want a particular policy at any given moment, there is no harm in government retracing its stand on the issue and I think that is the situation that we find ourselves. "I have listened to the arguments from those who support it but those arguments are simply not convincing. They appear to me to be highly theoretical and technical in nature and they do not address any practical issue on ground. "Any policy that does not address issues directly but just talking about indices we cannot verify for now, should wait. We have not reached that level where we are just talking of hypothetical cases all the time. "I think the disadvantages of the N5,000 note at the moment far outweigh not introducing it and on balance, we should not go for it. And also, from the contributions on the floor, we are all in support of the fact that the timing is wrong and the policy is unnecessary at the moment and the arguments being advanced are not convincing and there is no urgent need for it to take place now. "There is no ambiguity on our stand on the issue. I am not sure that Sanusi is aware of the Constitution; if he was, he would make reference to us before addressing the issue." Deputy Senate President, Ike Ekweremadu, who also opposed the policy urged the CBN governor to listen to the people, warning that his failure to do so may lead to disaster for the country. "Section 4 (2) is clear that sovereignty belongs to the people. Any government that fails to listen to the people is heading for disaster. Let Sanusi listen to the people today", he warned. Senate Leader, Victor Ndoma-Egba who also contributed to the debate urged the CBN governor to allow the will of the people to prevail, stressing that introducing N5000 note would increase the rate of corruption. According to him, "in a democracy, no matter how strongly a policy is, you cannot claim monopoly of wisdom. Even if the policy is good for the people and they say they do not want it, it is their right to refuse what is good for them. This is one moment that our policy makers must listen to Nigerians." He said: "The proposed action is illegal because it directly contravenes section 4 (2) of the constitution. The section empowers the National Assembly to legislate on issues of currency, coinage, and legal tenders. The CBN acted ultra vires by even contravening its own law too because section 8 states that they must consult with National Assembly." Senators Smart Adeyemi, and Nurudeen Abatemi, both of PDP, Kogi, East and Central Senatorial districts respectively maintained that Sanusi was acting out IMF plans to ruin Nigeria's economy, by sticking to the policy despite strong disapproval from the people. According to Adeyemi, "the agenda of introducing N5,000 is part of IMF plans to impoverish Nigeria. Jonathan should be wary of some policies that are tailored to suit IMF's plans to impoverish our people." Opposing the currency restructuring, Atai Aidoko, ANPP, Kogi stated: "This policy displayed how principal officers mislead Mr. President. This is an agenda of the West to re-colonize this country. This also bothers on the issue of arrogance of the CBN governor. He has displayed so much arrogance, insulted a former President and he has to be called to order." Members of the House of Reps who spoke against the plan to introduce N5,000 note stressed the need for the intervention of the House to ensure that the apex bank responds to public reasoning. After the debate on the motion tagged: "Planned restructuring of the Nigerian currency by the CBN - a cash policy somersault", the lawmakers directed the House Committee on Banking and Currency to conduct an investigative public hearing on the subject matter, and report back to the House within four weeks. Hon Sam Tsokwa, chairman House Committee on Rules and Business argued the planned introduction of the note was part of the restructuring of the Nigerian currency and contradicts the recently introduced cashless economy policy aimed at reducing the volume of cash transactions in the country. According to him: "The House is concerned by the views expressed by some economists and other professionals that the policy will cause hyper inflation, reduce purchasing power, currency devaluation and a widening gap between the rich and the poor. We are further concerned that the policy is also inconsistent with international best practice as leading economies like the USA, Britain and China do not have such high currency notes in circulation. We are also aware that the largest denomination of the British Pound currently in circulation is the £50 note while that of US is the $100 bill." Hon Patrick Ikhariale argued that the policy is tantamount to economic genocide as it will further impoverish majority of Nigerians who live below poverty level, adding that coins are no longer in use. Meanwhile, the House resolution calling on President Jonathan to sack Oteh within 14 days was passed at yesterday's plenary session of the House where the Reps including Femi Gbajabiamila, Minority Leader; Patrick Ikhariale, chairman House Committee on Power; Jones Onyeleri, chairman House Committee on Banking and Currency expressed displeasure over unsavoury relationship between the Executive and the Legislature. The sponsor of the motion titled: "Need for Mr President to enforce the resolution of the House of Representatives on the investigation into the near collapse of the capital market", reiterated the need for the House to challenge the decision of the Executive. He explained that "the House has been known for courage, focus and that's whom we are. We need to urge Mr President to protect the sanctity of the Constitution" noting that no one should be treated as sacred cow. Osai also expressed concern over the state of the capital market, arguing that non-implementation of the report will further create panic and loss of investors' confidence. "It was the resolution of the National Assembly that enabled the President to assume office as acting President in 2010 (using the Doctrine of Necessity). "The House should therefore request the President to implement the resolution of the House of Representatives on the investigation into the near collapse of the Nigerian capital market particularly aspects of the resolution requesting the removal of Ms Arumah Oteh as the Director-General of the Securities and Exchange Commission for being unqualified by law as director general of SEC, as contained in sections 3(2a) and section 38(Ib), 2 and 3 and section 315 of the Investment and Securities Act (ISA), 2007." The motion was thereafter put to vote which enjoyed overwhelming support of the house. Following the adoption of the motion, the House then directed the Committee on Legislative Compliance to within 14 days brief the House on the level of compliance with the resolution. Meanwhile, the Governor of the Central Bank of Nigeria, CBN, Mal Sanusi Lamido Sanusi, yesterday, declined comment on the resolution of the House of Representatives that actions on the proposed N5,000 note be stopped, forthwith. Journalists had sought the position of the CBN on the issue in view of the resolution of the legislators and opposition to the proposed currency note from various segments of the Nigerian public, but the CBN boss insisted he was not ready to speak on it. He simply said, "I have heard but I have no reaction." Nigerian soldiers on Monday shot dead a man suspected to have acted as a spokesman for Islamist group Boko Haram and arrested two other high-ranking members, a military official said. "We carried out an operation early this morning in which we killed a media man of Boko Haram terrorists and arrested two field commanders of the sect," said Lieutenant Iweha Ikedichi, spokesman for a military task force, adding he did not have their exact identities. Soldiers involved in the operation on the outskirts of the city of Kano said the man killed was suspected to be one of the Boko Haram spokesmen who uses the alias Abul Qaqa. President Goodluck Ebele Jonathan has reaffirmed his confidence in Nigeria's ability to overcome its present challenges and emerge as a very strong, united, stable and economically-progressive nation. Speaking at a farewell audience with the outgoing Austrian Ambassador to Nigeria, Dr. Stefan Scholz in Abuja, on Thursday, September 13, President Jonathan said that his administration was steadfastly evolving and implementing policies and measures to tackle the country's current developmental challenges, including those related to national security and power supply. The President told Dr. Scholz that some of the positive effects of the policies, measures and actions being implemented by the Federal Government will become increasingly apparent in coming months. President Jonathan commended the outgoing Ambassador for his efforts to improve bilateral cooperation between Nigeria and Austria, noting that trade and economic relations between both countries had improved significantly during his tenure. "You have done wonderfully well and we are quite pleased with what you have achieved here," he told Dr. Scholz. Dr. Scholz described his tenure in Nigeria as a great "honour, privilege and opportunity" to get new perspectives on development. He praised the Federal Government's Agenda for National Transformation and pledged that Austria will continue to give Nigeria all possible support and assistance towards its successfully implementation. The Nigerian economy grew by 6.28 per cent in the second quarter of this year, driven by non-oil sector growth, while inflation fell for the second straight month in August helped by tight monetary policy, the latest economic data from the National Bureau of Statistics (NBS) have shown. GDP growth accelerated in the second quarter, up from 6.17 per cent in the first quarter, which was the lowest quarterly rise in three years. "The non-oil sector was driven by growth in activities recorded in the building and construction sector, while oil sector output decreased, compared to the second quarter of 2011," the NBS said in its report released Sunday. The economy is expected to expand at a slower rate this year, after rising 7.4 per cent in 2011, due to disruptions to oil production and economic weakness in developed countries that buy its gasoline-rich crude. The Consumer Price Index (CPI) dropped to 11.7 per cent year-on-year in August, down from 12.8 per cent in July, largely due to a fall in food inflation which dropped to 9.9 per cent in August from 12.1 per cent the previous month, the NBS said. Average crude oil output from Africa's largest producer rose marginally to 2.38 million barrels per day (bpd) in the second quarter, from 2.35 million bpd in the first quarter. This was down from 2.45 million bpd in the second quarter of last year. Oil accounts for more than 80 per cent of Nigerian government revenue and around 95 per cent of its foreign exchange earnings. The report said high interest rates and lower food prices had helped temper inflation. "The relative moderation in the index is attributable to the relative slower rises in both the food and 'core' indices partly as a result of aggressive monetary policy initiatives by the Central Bank of Nigeria (CBN), base effects and a much lower rise in several food prices," the bureau said. The CBN had, among other things at its last monetary policy committee (MPC) meeting, raised banks' cash reserve ratio (CRR) to 12 per cent from 8 per cent in a bid to curb inflation and discourage speculative activities at the foreign exchange market. The CBN monetary policy committee will meet next week and while the inflation numbers will feed some private sector demand for a loosening of monetary policy, some analysts are expecting rates to remain at 12 per cent, as they have been since November last year. The rate decision will be announced tomorrow. Other reasons given for the 8.5 per cent drop in inflation include base effects and a much lower rise in several food prices such as yam, tubers and vegetables due to the harvest season. The NBS said: "In particular, the Food Index exhibited a sharp increase in August 2011. The implication is that year-on-year changes in August this year were muted due to higher prices in August of the previous year. "In August this year, most classes under the food index increased, but again, only in relative moderation." According to the report, the composite Food Index dropped year-on-year by 9.9 per cent to 135.9 points in August from 12.1 per cent in July. Meanwhile, the urban inflation rate stood at 14.4 per cent year-on-year, while that of the rural component recorded a year-on-year increase of 9.7 per cent. According to the NBS, the urban all items index increased by 0.69 per cent month-on-month, while the corresponding rural index also increased by 0.66 per cent, compared with the previous month. The NBS report noted that on a month-on-month basis, core index increased by 0.6 per cent during the same period. "The rise in core index is attributable to higher prices of clothing, medical services, hotel and restaurant prices, and accommodation services, among others. The average 12-month annual rate of rise of index was 13.3 per cent for the twelve-month period ending August 2012," it stated. Continuing, the report also noted that percentage change in the average composite CPI for the 12-month period ending in August 2012 over the average of the CPI for the previous twelve-month period was 11.8 per cent. It added that the corresponding 12-month year-on-year average percentage change for urban and rural indices was 12.4 and 11.4 respectively. Lagos Chamber of Commerce and Industry said electricity supply to Lagos areas have increased to 35 percent in the last three months. The Chamber revealed this in its latest survey which was presented to the media yesterday by its president, Chief Goodie Ibru. He said in some parts of the country, the average daily supply of power now ranges between 15 to 20 hours per day. He said that while households and small businesses tend to have significantly keyed into the increased power supply, diesel price is decreasing in line with falling consumption rate coming from increased power supply. He said: "We observed that while the administrative blocks of most businesses are now connected to the PHCN, major manufacturers are yet to switch their production lines to the public power supply, because of sustainability concerns. "We are looking to see how much the dry season will impact power supply as increased water levels in the dams due to the raining season played a key role in the current boost of power generation." He advised that in order to build on the current tempo, government should sustain the gas-to-power framework. He said the joint venture gas supply agreements with oil companies must be firmed up in order to ensure regular gas availability for the nation's existing and upcoming thermal power stations. President Goodluck Jonathan is to host the Nigerian delegation to the paralympic games as well as members of the Falconet in appreciation of their sterling performance. The Nigerian paralympians Tuesday night rejected the National Institute for Sports hostel accommodation reserved for them after they touched down in Lagos from their triumphant run at the London 2012 Paralympics Games. Minister of Information, Labaran Maku, told state House correspondents that the superlative performance of members of the Team Nigeria Special athletes at the just concluded Paralympic Games in London "have wiped away our tears". According to him, the Paraolympians and the Falconets performance at the just concluded FIFA Women U-20 Championship in Japan was brilliant, and the planned reception this saturday is to send a clear message that all athletes are important. "They (Paraolympians) have wiped away our tears. The message they have sent is that we need a greater passion in what we do. Their performance confirms that every citizen is important. The reception will send a clear message that all is important", he noted. On the Falconets, the Minister described the performance of the female junior team that came third as "ventilating", adding that "they showed a lot of talents and defeated very great football nations. "They have demonstrated that when women are asking for 35 per cent they mean it. It is a clear indication what women can do better where men have failed". At the London Games, the Nigerian special athletes won a total of 13 medals; six gold, five silver and two bronze medals. The performance lifted the dampen spirit of Nigerians when the able bodied athletes could not win a single medal at the main London Games London. However Nigerian paralympians Tuesday night rejected the National Institute for Sports hostel accommodation reserved for them after they touched down in Lagos from their triumphant run at the London 2012 Paralympics Games. Some of the athletes spoken to submitted that the NIS hostel did not match their status as paralympics heroes. The athletes were treated to a mini reception at the National Stadium Lagos. And they were shepherded into the NIS hostels by the National Sports Commission Liaison officer in Lagos, Mrs. Tayo Oreweme, but one by one they sneaked out of the premises preferring to lodge in comfortable hotels on their own, while those who have homes in Lagos went to their abodes. "We felt that they will be secured at the NIS after a reception was held for them at the National Stadium. I'm aware that some of them went home, but I cannot say if they protested against what was offered to them," said Secretary-general of the Nigeria Paralympics Committee, Dr. Frank Thorpe. A survey by the National Bureau of Statistics (NBS) has revealed that 75.1 per cent of Nigerians are opposed to the currency restructuring by the Central Bank of Nigeria (CBN) which will lead to the introduction of the N5'000 note and the conversion of lesser bills to coins. According to the poll conducted by the NBS, only 16.1 per cent of the Nigerian populace are in strong support of the CBN policy while 4.04 and 4.62 per cent were partially in support and against the currency restructuring policy respectively. The proposal to introduce the larger bill and convert the N20, N10 and N5 bills into coins has generated a lot of controversy with many groups issuing statements against the CBN initiative. However, the CBN says it will introduce the new note and coins come 2013 despite the opposition the policy is receiving. The unyielding stand of the CBN may not be unconnected to the full support given to the policy by both the federal and state governments. The policy has also received the approval and backing of the presidency. Nigeria's Economic Management Team also believes that the move will help drive the country's economy and discourage the high demand for the US dollar, saying the N5,000 bill will only be for banks and a few "heavy cash users". But many are of the view that the new policy will engender corruption, fuel inflation and negate the "cashless" policy of the CBN, which was designed to promote the use of non-cash transaction instruments. FBN Capital Limited, in its bulletin just released, had noted that "some opposition can be attributed to a generalised lack of trust in any official measure with economic or financial implications". On the cost of managing cash, FBN Capital said, "We note the high, but falling, cost of currency management. Over N125 billion was spent in the past three years printing and minting currency. If this move goes through, we expect to see significant savings made, as the new currency note becomes easier to carry and manage. "We are also of the view that there is no proven evidence of a correlation between inflation and higher currency denominations. Inflation as we know it is fuelled by too much money chasing fewer goods. Governor of the Central Bank of Nigeria (CBN) Sanusi Lamido Sanusi has berated former president Olusegun Obasanjo for his stand on the planned introduction of N5, 000 note, saying he was a very successful farmer but a very bad economist. Sanusi, who defended the proposal to introduce the N5,000 note next year, said Obasanjo as head of state introduced more high-currency denominations than any other leader in the history of Nigeria. Obasanjo had, last Thursday, stated that the introduction of the N5, 000 note would kill production and affect small businesses negatively. The CBN governor, while delivering the keynote address at the 6th Annual Banking and Finance Conference of the Chartered Institute of Bankers of Nigeria (CIBN) in Abuja yesterday, pointed out that Obasanjo introduced the N20, N100, N200, N500 and N1,000 notes, yet inflation was low during his tenure. Sanusi said: "I like General Obasanjo; he is a very successful farmer but a very bad economist. He has introduced more higher denominations in Nigeria than any other head of state. He did the N100 in 1999, N200 in 2000, did N500, I think, two years later and, in that period, inflation was low because it was accompanied by very tight monetary and fiscal policy reforms. "So for somebody who has gone through that to stand up and say that introducing higher denomination will cause inflation... I don't know if somebody wrote the speech. I am trying to see him, or maybe he was misquoted. Because if he actually said that, then, he must be the single most important determinant of inflation in our history, given the number of notes he has introduced." According to him, simply producing higher denominations cannot cause inflation if it is not accompanied by an increase in money supply. "We all know that you cannot have inflation simply by introducing higher denomination if you don't increase money supply, and yet we keep repeating the opposite." The CBN governor said that the apex bank had reduced the cost of cash management from N49 billion in 2009 to N32 billion in 2011, adding that it planned to bring it further down to N25 billion by 2014. "We started a project, over two years ago, aimed at reducing the overhead in the Nigerian banking industry by at least 30 per cent in a two-year period. That project involved shared services and cash management and cash production and data control and operations. It involved an increased use of technology; so you now have PoS terminals, ATMs, mobile banking, NIBSS transfer, the clearing days have been shortened," he said, adding that the CBN had looked at how it could be more efficient in the management of cash. "In 2009, we did a survey and saw that, of all the cash transactions done in banks, only 20 per cent were for more than N150,000, and that 10 per cent accounted for over 70 per cent of the value of cash. So a very small number of customers are the heavy users of cash and we pay a lot of money printing paper for them," he stated. The CBN governor said the accounts were there for the record: the total cost of printing and minting all denominations of currency in Nigeria in 2009 at N47 billion, in 2011 at N32 billion and 2014 at N25 billion. He said that 50 per cent of the total cost of procurement could be saved. Malam Sanusi said printing of the N5, 000 notes could not cost more than N2 or 3 billion. He noted: "In the 1970s when the N20 note was introduced, N20 was the equivalent of $30. In 2013, when we introduce the N5, 000 note, N5,000 will be the equivalent of $30. It's the statistics. If we could buy $30 with one N20 bill in 1978, you now need 250 N20 bills to buy $30 and we have to print the whole250 notes, pay for the paper, pay for the ink, pay for the security features, for the transportation, for insurance, for clearing, for the bullion van for the ... processing, disposal..."
It was celebration moment in Nigerian camp Monday in Istanbul, Turkey following the confirmation by FIDE that the country's male team displace other contenders to win the Category E of the 40th World Chess Olympiad rounded up Monday night. Monday's feat was the best performance of the country at the biennial event since 1998 when International Master, Odion Aikhoje won gold medal on board two. Significantly, this is the first time Nigeria will come top at any team event in chess. When Team Captain, Lekan Adeyemi, led the team to mount the podium at the closing ceremony, it was a loud ovation to worthy champions of the category who came into the tournament as underdogs! It worthy to note here that the male team had to wait for the official confirmation after a not too impressive draw it secured in the final game. And when the smoke cleared, the Nigeria Chess Federation (NCF) President, DCP Sani Mohammed, commended the players for a battle well fought in the last 11 days of mind games. "Many pundits did not give this team a chance because most of the payers were attending the competition for the first time but I had fate in them and the technical crew and the result here has shown that we have abundant talents in the country," Mohammed remarked Monday night. En-route achieving this feat, International Master, Dapo Adu, led the team to secure a 2-2 score line with the Physically Disable Chess Association (PDCA). The US-based Nigerian star drew the first blood with a King's Indian attack against Vit Yarmonov (2333) after 35 moves. The Nigerian knew nothing short of a win will turn the tide against Nigeria. He thus put his opponent under pressure for the greater part of the game. However, Bomo Kigigha lost to Vit Valenta (2162) who took advantage of active Bishops in the middle play and sacrificed his Queen for a Rook on move 22 but reclaimed a Knight and a better positional place and the Nigerian fighter had no option than to resign. On board three, Nonso Orawgu lost to International Master, Ruben Bernarch, (2121) but Adeyinka Adesina restored Nigeria's hope with another mastery win against Bernard Valenta. Aside the teams' effort, Nsisong Asanga also bagged FIDE Candidate Master title following her six points out of nine games she played in the tournament. At the last edition of the Olympiad in Russia, the male team placed second while their female compatriots finished third with Charles Campbell and Olamide Ajibowo bagging Candidate and FIDE Master titles respectively. This edition was a rapid improvement of the country's participation at the elite chess event. However on top board, Armenia edged out perennial rivals, Russia on tie break after both nations finished with 19 points.